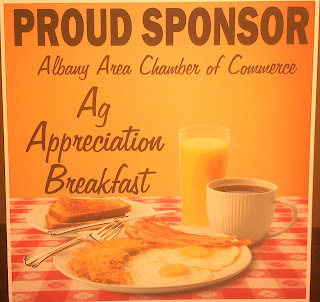 The Albany Area Chamber of Commerce is hosting the Ag Appreciation Breakfast again this year at the Linn County Fair & Expo Center. We'll be there to help serve eggs, sausage, french toast, coffee, and juice catered by Burtons Catering! The "Eggs and Issues" breakfast will be Tuesday, February 9th from 7:00-9:00 AM. The guest speaker this year is George Taylor of Applied Climate Services. Dr Taylor was the Oregon State Climatologist from 1989-2008 and held a position with Oregon Climate Services. He has been a debated public figure over the years for his controversial views on how humans influence global climate change. We had the privilege of having Dr. Taylor as a keynote speaker at our Cascade Division grower meeting a few years ago. His presentation was great then and we look forward to hearing from him at the Ag Appreciation Breakfast. Mineralizeable Nitrogen Tests on the wheat have been completed. We are beginning to receive some of the results back at this time. We should see all of the results by February 10th, just in time to start fertilizing the wheat by the middle of the month. Be looking for your fieldman to show you the results that we have received. Here is a useful link to that talks about the Mineralizeable Tests, and how we figure the amount of Nitrogen required for your wheat crop. Bob Spinney is retiring...sort of. He is officially retiring from full time work at CPS after nearly 20 years. He has agreed to hang around a day or two a week to keep some of us young whipper-snappers in line. His retirement party will be held at the Linn County Fairgrounds as an open house from 2:00-5:00 this Friday, January 22, 2010. There will be a presentation at 3:30. We will also be serving beverages and appetizers. Come out and wish Bob a happy retirement or just give him a hard time. He'd love to see ya. Several of us attended a lecture at Oregon State's LaSells Stewart Center Tuesday night. The Food for Thought lecture series has been focused on how biotechnology is being used in agriculture and the opportunities it offers to feed an ever growing world population while highlighting the political and philosophical roadblocks to its implementation. The topic of biotechnology or GE crops (genetically engineered or genetically enhanced) is like cryptonite to the organic community but Dr. Robert Paarlberg gave us all some things to think about last night. His lecture was titled "The Ethics of Modern Agriculture" and discussed the need for advanced crop cultivars in Africa and the political and environmental factors that are keeping them out of the hands of farmers. It is currently illegal to grow any GE crop on a nearly all of the African continent for no other reason than a list of unfounded fears of modernization in general and biotechnology specifically. Dr. Paarlberg confronted the organic or "bio-dynamic" farming philosophy and its inadequacy to feed the world population as it stands, let alone to keep up with growth. He subtly highlighted the ethical duplicity of the embrace of biotechnology by the wealthiest nations of the world during the Green Revolution of the 40's and 50's while environmental-NGO's and certain government agencies have worked very hard in advising leaders in African countries to avoid biotechnology and embrace organic production. One main point Dr Paarlberg made is that most farms in Africa are already producing food organically because they currently have no other choice. "They could be certified tomorrow," he said, and yet people are still malnourished and starving. "Organic food is better/healthier for our bodies than conventionally produced food"
"Organic food is safer for our bodies than conventionally produced food"
"Organic production is better for the environment as a whole than conventional food production"
Dr Paarlberg systematically and logically provided evidence to contradict these claims. He discussed the incredible negative environmental impact organic production would have if implemented on a scale necessary to keep up with the conventional acres currently in production. He concluded with the proposition that embracing biotechnology and the advancements in agricultural applications of genetic science would ensure that those in developing countries would be able to continue to provide enough food for themselves. At the same time he advocated for an integration of some of the management philosophies prevalent in organic production with the large scale of conventional production to refine our farming habits and improve the overall efficiency of food production world wide. He argued for the education of African farmers, reduction or removal of regulatory prohibitions to make these new technologies and genetic enhancements available to them, and then to allow the African people to decide for themselves. Dr, Robert Paarlberg is a professor of political science at Wellesley College and an associate at the Weatherhead Center for International Affairs at Harvard University. His book, Starved for Science-How Biotechnology is Being Kept Out of Africa can be found on Amazon.com for about $10-15 and features a forward by the Father of the Green Revolution himself, Norman Borlaug. 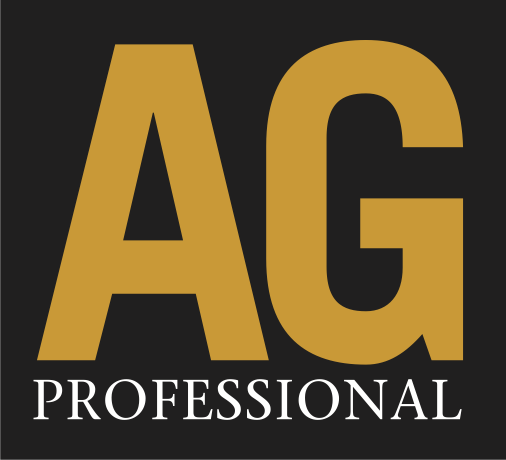 Welcome to the website and blog for the Tangent branch of Crop Production Services. We are joining the new millennium! We want to make this website as useful to you as possible. Your suggestions are welcome! Feel free to drop us an email or talk to your fieldman about what you'd like to see on our blog. If you have suggestions for links or articles we'd love to hear them. 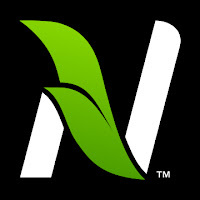 We'll be using this blog as a forum to post our newsletters and update you with current information on subjects like chemical label changes, new products, or how disease and weather trends are affecting our crops. As we move forward we hope to compile a nice list of useful links for weather information, commodity prices, and general ag news. We'll also work on some informational articles, spotlight the employees of the Tangent branch, and post regular updates of what is going on in the field. We may also get some guest authors from time to time so stay tuned. Thanks for joining us and thank you for your support!